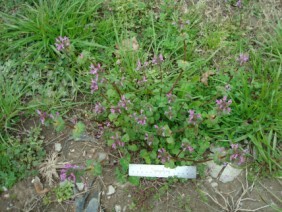 Henbit is a small member of the mint family. 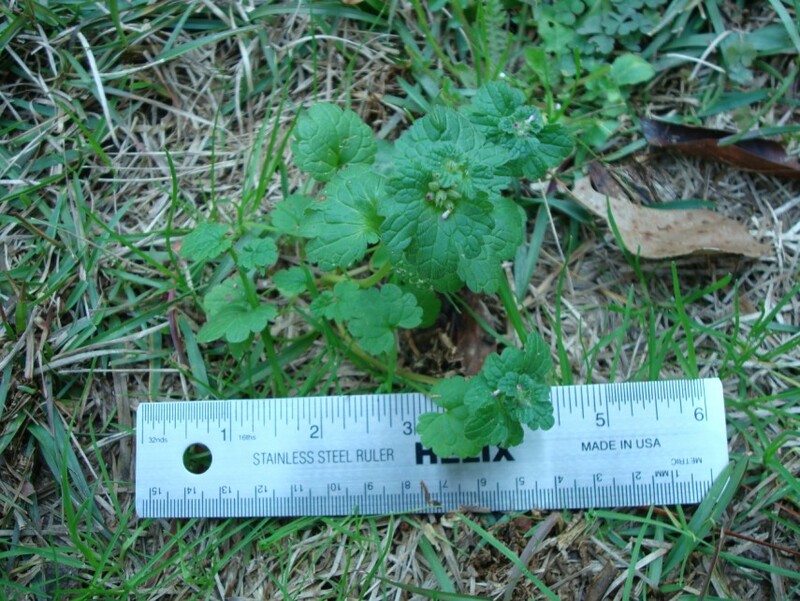 It is a very common weed in lawns and gardens. 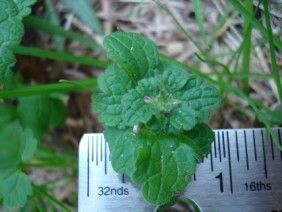 Note the opposing leaves and the square stem, they are characteristic of the mints. 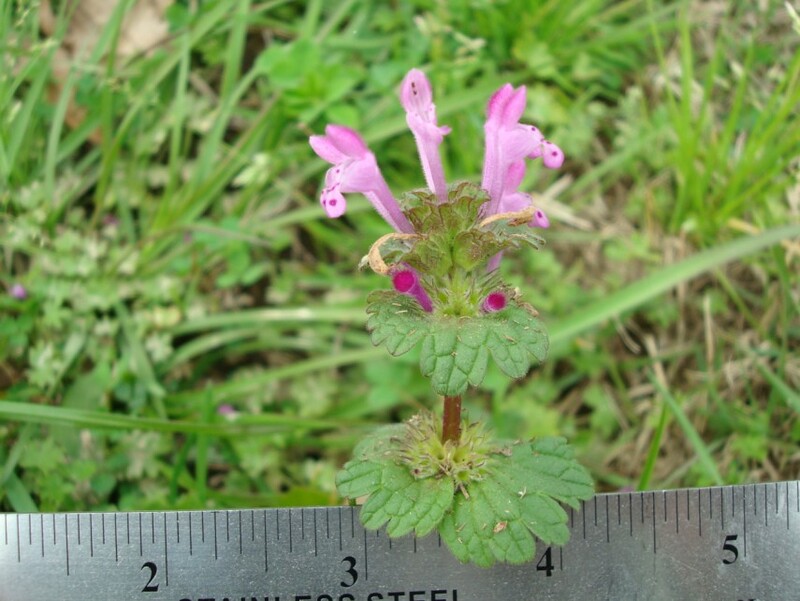 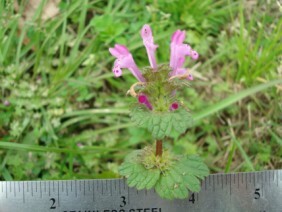 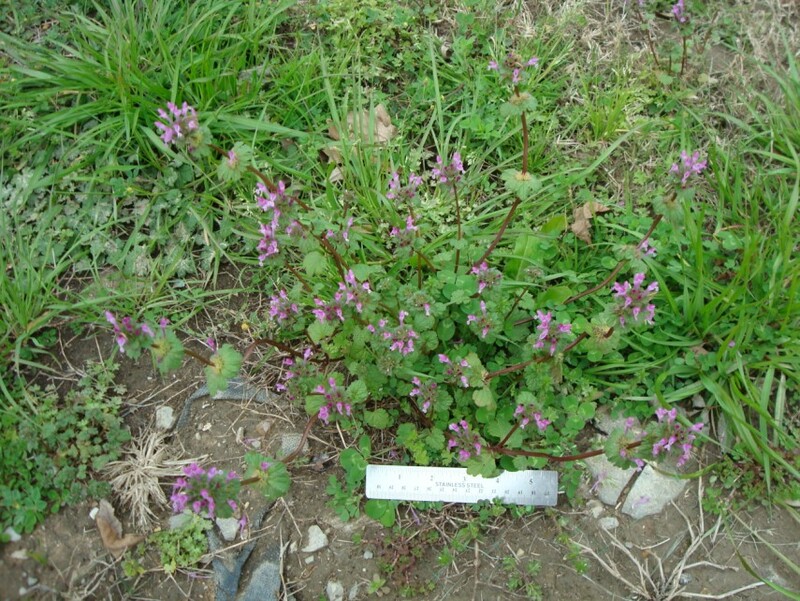 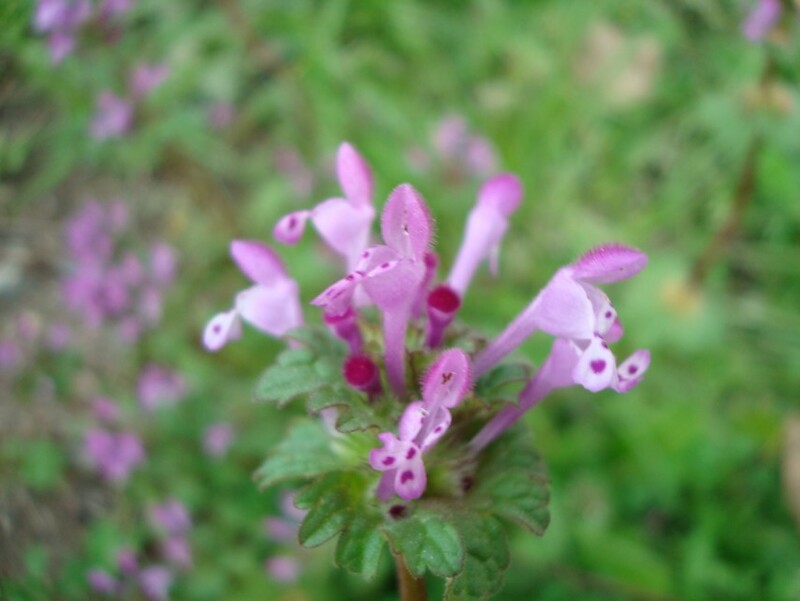 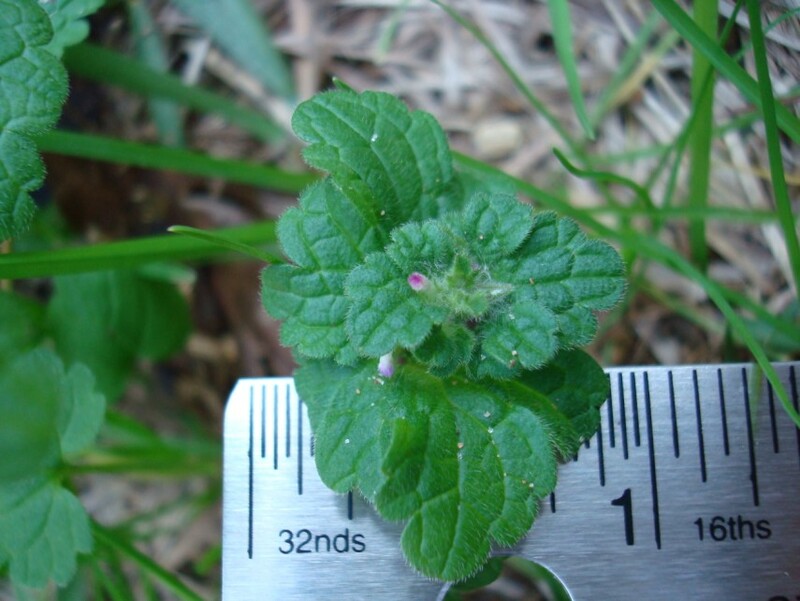 Henbit appears in winter and early spring. 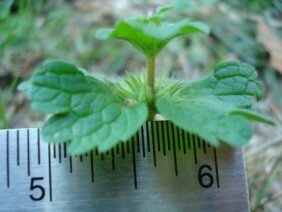 These plants were photographed in February.